A comparative study of the impact of Fair Trade, organic certification and conventional production on the well-being of women quinoa farmers and their families. Conducting a comparative study of Bolivia’s Fair Trade, organic and agrochemical quinoa production creates a deeper understanding of the effects that different modes of production have on family, sustainable development and well-being. Bolivia provides 45% of the world supply of quinoa with exports growing from 1,500 tonnes in 1999 to 29,500 tonnes in 2013, the International Year of Quinoa, making it the world’s second largest quinoa producer (FAO, 2013). I am interested in this Fulbright award and teaming with Bolivian academics and producers because as an American sustainability scholar and published author, I am ideally suited to conduct this study. This study contributes to my understanding of techniques and strategies for sustainable development, improves my teaching and will be published in my next book. The overarching theme of my research project is to create a comparison of how different production modes impact women and sustainable development, especially over the last 20 years. Sustainable development is about balancing long term social, economic, and environmental objectives which often may seem to conflict with each other in the short term. Fair Trade focuses on social and economic needs by supporting equality and greater economic investment into production, while organic production favors environmental objectives by preserving ecology and biodiversity, and conventional trade focuses on earnings through efficiencies and growth, traditional indicators of success. Agrochemical production is a component of conventional trade. Women are the least studied in these models though they bear much of the responsibility for the well-being of the family and their community’s sustainable development. More specifically, my goal is to examine how Fair Trade, organic and agrochemical production impact sustainable development through a gender based case study of rural quinoa production in Bolivia since 1994. Chenopodium quinoa Willd is important as an exceptionally nutritious, high protein, gluten-free seed produced by historically impoverished indigenous people (Ruiz, et al, 2013). As quinoa gained popularity, it changed from being cheap peasant food to a highly valued commodity. Due to its high protein content and ability grow in poor, dry soils, quinoa is considered the supergrain of the future and a cure for world hunger. 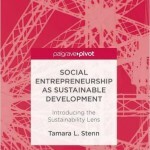 This project considers strategies used by entrepreneurs to adapt to, or mitigate the conflicts of sustainable development. For example, some entrepreneurs pay producers a higher price for Fair Trade products but are unable to recover these costs due to market competition with non-Fair Trade goods. This decreases earnings. Other entrepreneurs invest in organic production but are met with limited cultivation and yields in order to preserve soils and ecosystems. This decreases growth. Still other entrepreneurs support the use of agrochemicals to increase yields and build efficiencies but are met with hazardous health and environmental side effects. This builds growth and earnings in the short-term but with long-term negative impacts. Growth and earnings are principle elements of conventional trade but appear incompatible with long-term sustainable development. This project will explore the dynamic of short-term gain versus long-term sustainability more deeply. This project also examines the impact of export production and global relations on traditional highland families as they negotiate the modernization and marketing of agricultural production for the first time. This is important in helping to balance the moral economy with the achievement of greater global sustainability without losing economic advantage or overtaxing local resources (Walsh-Dilley, 2013). Bolivia will benefit from this study since findings can aid local and regional governments in creating sound economic development guidelines. US policy makers and entrepreneurs will benefit from this study by having better data in which to make decisions and learning best practices to follow. Developers worldwide will benefit from this study as quinoa production can be expanded to new global areas in a more sustainable way. 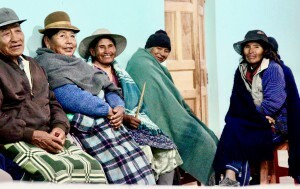 Using ethnographic data gathered over the course of three years from Bolivian field studies, historical documentary evidence, and regional statistics, the goals of this project include: a) The construction of a time series of data for quinoa production and population well-being; b) The evaluation of gender in context of rural economic development; c) The evaluation of the impacts of Fair Trade, organic certification and agrochemical production on producers and entrepreneurs; d) The emergence of different farming models such as cooperatives and agro-pastoral systems; e) The role of local governance, national policy, climate change and other environmental phenomena on sustainable development in Bolivia. The information gathered will form the basis for my next book to be titled, The Cultural and Environmental Intersection of Sustainable Development, a sequence to my existing book, The Cultural and Political Intersection of Fair Trade and Justice, published by Palgrave in 2013. 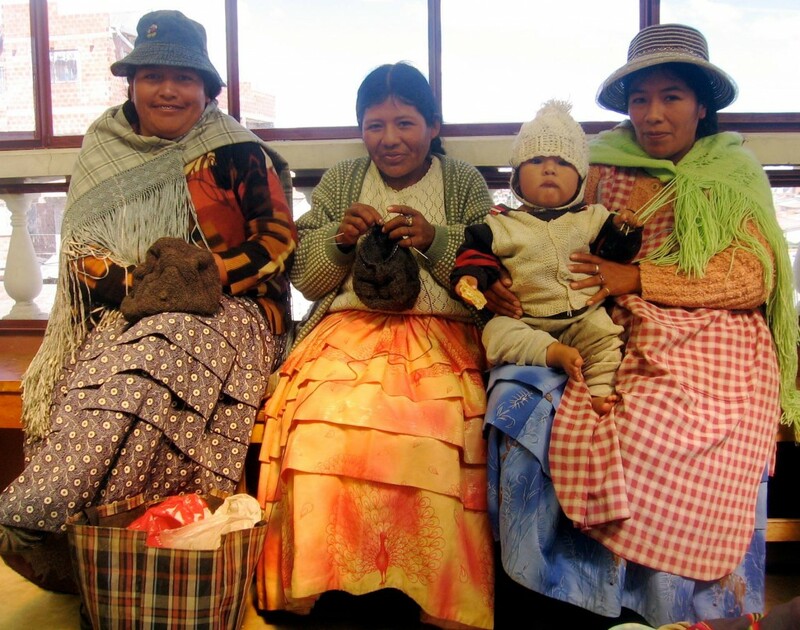 Stenn’s previous studies included the well-being of women producers in Bolivia’s Fair Trade hand knit alpaca industry such as these women from the Sr. de Mayo cooperative.